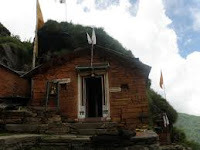 Here is Some Information about Rudranath Temple in Trek Uttarakhand india. Rudranath is a place which is very famous among Hindus and each one desires to visit this place once in their lifetime. In this temple the face of Lord Shiva is worshiped. It is located at an elevation of 2, 286 m above sea level. 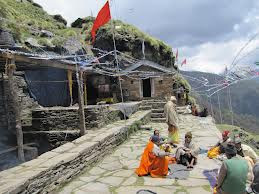 If any devotee wishes to worship Lord Shiva then they have to trek for around 18 kms. It is 23 km from Gopeshwar. 5 km is motorable and the rest 18 km has to be trekked. 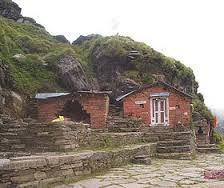 In this place Lord Shiva is worshipped as ‘Neelkantha’. The peaceful atmosphere and the perfect nature make the place more religious and holy for the devotees. The temple place provides glorious views of Hathi Parvat, Trishuli, Nanda Devi, Nanda Ghungti, and many other peaks. 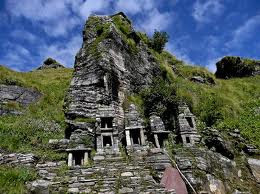 There are number of kund near Rudranath temple like Suryakund, Tarakund, Chandrakund. 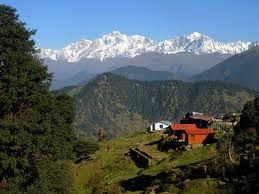 Trekking to Rudrakund is all times a subject of adventure and pleasure. The route is not a very easy one and tourist should take help from a local guide. Local guide helpful for this route. When Tourist trekking towards Rudranath, many temple find on the way. Which prove Uttarakhand to be the ‘home of gods’. Legend has it that the face of Shiva appeared at Rudranath after he took the form of a bull and tried to escape into the earth. 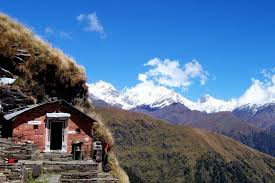 According to the Skanda Purana, Mahadev tells Parvati that there is a third tirth, which is the best of all pilgrimages and is called Rudranath. Pilgrims who come to this difficult tirth are truly blessed and all their wishes are granted. Lord Shiva is said to reside here perennially. 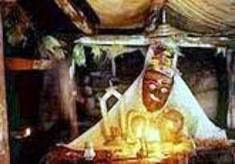 It is believed the ancestors of those who offer pinda tarpan (ritual offerings for ancestors) will stay in Shiv-lok till the destruction of the universe. By Air: Jolly grant is the nearest airport. Which is 225 kms from the Kedarmath than 14 kms trekking to Rudrakund. By Rail: Nearest railway station at Haridwar. which is 207 km by road and the rest 14-km is on trekking. By Road: Kedarnath is accessible on foot from Gaurikund, which is linked by road with Haridwar , Rishikesh, Dehradun, and other important hill stations of Garhwai and Kumaon Hills. By Bus: The Bus service is available at Haridwar, Rishikesh for Gaurikund. Rishikesh to Kedamath 223 km, via Deoprayag 70 km, Srinagar 35 km, Rudraprayag 34 km, Tilwara 9 km, Kund 25 km, Guptkashi 5 km, Rampur 10 km, Sonprayag 3 km Gaurikund 5 km, Rambara 7 km, Garurchatti 4 km, Sri Kedarnath 3 km.